ACT in the Community Celebrate Downtown! Mayor Jorge O. Elorza, the Department of Art, Culture + Tourism, the Department of Parks & Recreation, the Downtown Providence Parks Conservancy, Eat Drink RI, the Partnership for Providence Parks, and Bank Newport are pleased to announce the 2018 Winter Lights Market and Tree Lightings. 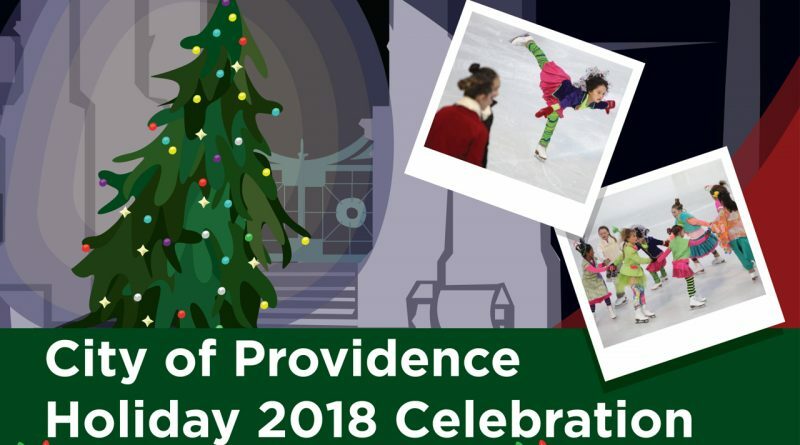 Providence’s annual holiday tradition takes place over two days and features a variety of activities for people of all ages, including tree lighting ceremonies on both Friday and Saturday evenings. The event hours on Friday (11/30) are 5:00PM-9:00PM and on Saturday (12/1) are 12:00PM-9:00PM. This holiday season the street between the ALEX AND ANI City Center and Burnside Park (East Approach) will once again become home to the PVD Winter Lights Market where audiences will enjoy music and performance, free family activities, and public art installations. A heated tent will host an artisan marketplace with art, gifts, and locally-made products and a culinary experience curated by Eat Drink RI. Expect savory dishes from food trucks as well as hot drinks and sweet treats crafted by some of the Ocean State’s most beloved epicureans. When the Winter Lights Market opens at 5:00PM on Friday, November 30th, dancers from Festival Ballet will be there to offer some basic instruction in their craft. At 5:30PM, local entertainers Circus Dynamics will juggle, spin fire, and delight with the circus arts. Following their performance, Saint Ephraim Syriac Orthodox Sunday school will perform some English and Aramaic songs on the steps of City Hall. Mayor Elorza, Ms. Wheelchair Rhode Island 2018, Tina Guenette Pederson, and Brendan Kirby from The Rhode Show will then illuminate the City Hall tree. After the tree lighting, spectators will be invited to the Winter Lights Market on East Approach for local brews and beats. On Saturday, December 1st, Bank Newport is generously sponsoring free ice skating at the ALEX AND ANI City Center from 10:00AM- 4:00PM. At noon, the Partnership for Providence Parks & Playcorps will offer a full menu of family activities in and around the PVD Winter Lights Market tent. We’ve also heard that Santa will be making an appearance at the corner of Westminster and Union as a part of the Celebrate Downcity festivities. At 4:00PM, a children’s parade will kick off an evening of performances in Burnside Park and the ALEX AND ANI City Center. (Please note: public skating will be closed from 4:00PM – 7:00PM). At 5:30PM, the Brown University Ice Skating Band will set the stage in the ALEX AND ANI City Center for the evening’s tree lighting ceremony with some great ice skating music. Then Rhode Island’s very own finalist from The Voice Billy Gillman will keep the good cheer flowing with spirited renditions of holiday classics. Following the musical performances, WJAR’s Patrice Wood and Mayor Elorza will invite the children in the audience to join them in lighting the ALEX AND ANI City Center Christmas Tree . A spectacular evening show by champion figure skaters will follow. The lineup produced by Sarah DiNardo and Brad Vigorito features local, national, world-class and Olympic stars including 2018 Olympic Bronze Medalist Mirai Nagasu and 2006 World Champion Kimmie Meissner. Mirai Nagasu is well known as the first US woman in history to land the exclusive triple axel at the 2018 Olympic Winter Games in Pyeongchang, South Korea. She also competed on Dancing with the Stars this past spring. Nagasu resides in Colorado and when not training, she is studying business at the University of Colorado at Colorado Springs. Kimmie Meissner is the first American and the first woman to simultaneously hold the national, world and four continents titles. The two featured stars will be joined by Rhode Island’s Ocean State Ice Theatre Novice and Open Team, National Collegiate Silver Medalist Christie Marshall of Barrington, 2018 Regional Medalists Jamiesen Cyr of Coventry, and Patrick Blackwell, of East Greenwich, Ocean Blades of Warwick Figure Skaters, a nationally ranked synchronized skating team, and a performance by all of the state’s regionally ranked competitors. Skaters Damian Jarvis, Caitlin Levine and Bryan Lehmann, performers from the Mount St Charles Sur La Glacé program, and the stars of tomorrow will also appear at the rink. The show will be narrated by former Disney on Ice principle skater Beth-Anne Duxbury and US Figure Skating announcer Wendy Sheridan of Bristol, RI. There is no charge for admission to the show, but audience members are invited to bring new toys to donate to Toys for Tots. Collection bins will be available on site. The 2018 Winter Lights Market and Tree Lighting is sponsored by the City of Providence Mayor Jorge O. Elorza, the Department of Art, Culture + Tourism and the Departments of Parks & Recreation. Additional support provided by the ALEX AND ANI City Center, NBC 10 WJAR, the Providence Warwick Convention & Visitors Bureau, The Rhode Show, Bank Newport, and the Downtown Improvement District. This year, the ALEX AND ANI City Center tree was generously donated by The Leddy Family in memory of their beloved daughter-in-law Darlene and removed by the great folks over at Stanley Tree Service. 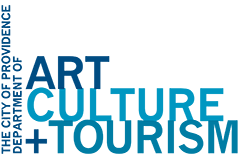 The Providence Department of Art, Culture + Tourism ensures the continued development of a vibrant and creative city by integrating arts and culture into community life while showcasing Providence as an international cultural destination. The Downtown Providence Parks Conservancy is a public-private partnership formed to preserve and revitalize Providence’s historic downtown core by transforming it into a lively, cohesive and prosperous economic and cultural center through the development and management of exceptional public spaces. Veteran producers, Sarah DiNardo and Brad Vigorito, share a rich figure skating history together. Both grew up skating in Rhode Island and participated in the first opening ceremonies of the Alex and Ani City Center Skating Rink twenty years ago. Vigorito, a former competitive skater, is now a full time coach in the Boston area and still performs professionally. DiNardo, a triple USFS gold medalist and head coach of the state’s acclaimed Ocean State Ice Theatre program, runs the figure skating program at Mount St. Charles in Woonsocket, RI. As producers, DiNardo and Vigorito have worked with skaters such as five-time World Champion Michelle Kwan, Rhode Island Olympic medalist Marissa Castelli, National medalist Richard Dornbush and World competitor Ross Miner for the past three years during the City of Providence Tree Lighting. Every year, these young talented producers up the bar of professionalism and star power, and they are thrilled and excited to present this year’s cast to Providence. Activities take place throughout Greater Kennedy Plaza, including East Approach, Burnside Park, City Hall and The Alex and Ani City Center. All events are FREE, open to the public and family friendly!